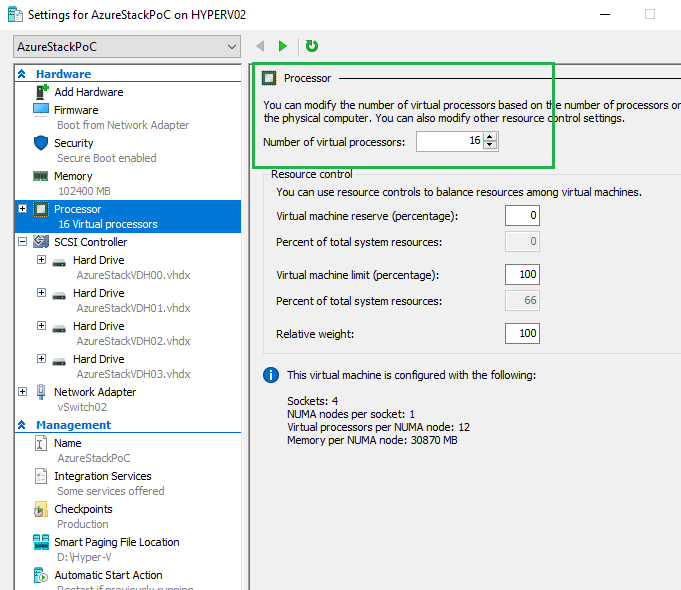 I figured this post may be useful if you’re like me and testing out Azure Stack. If you are unaware of Azure Stack, in short, it allows organizations to have Azure (Cloud) on their own environment/datacenter. Here is a LINK for more information on Azure Stack. Azure Stack is currently in phase TP2 (Technical Preview 2) and this is the version I will be deploying and testing. 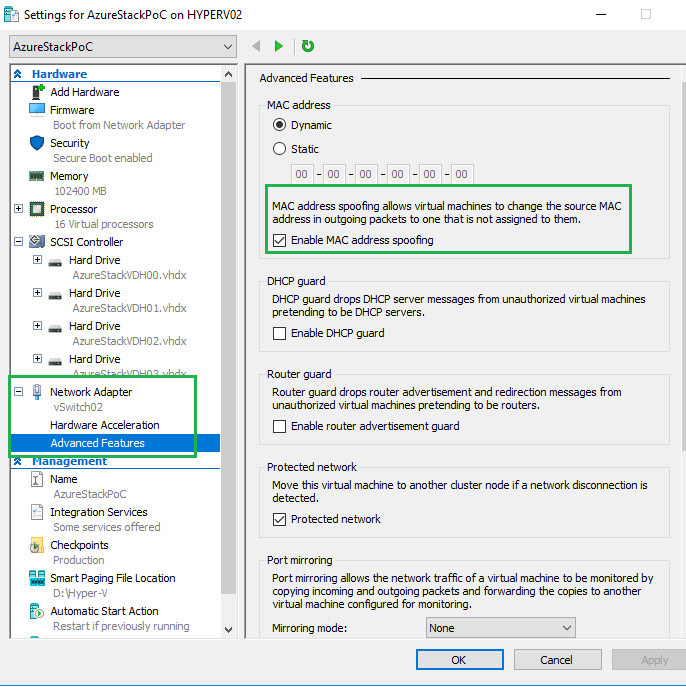 Before getting started with Azure Stack, your physical Windows Server 2016 box must have Nested Virtualization enabled. 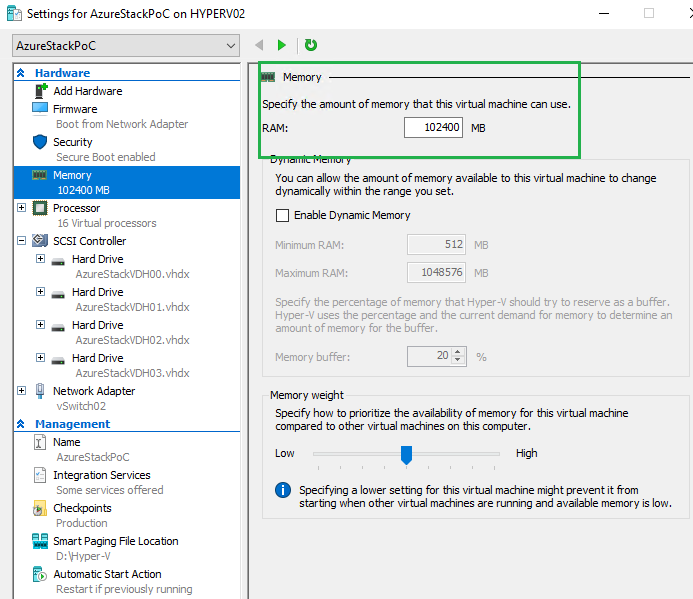 VM will need to have at least 1 vCPU. I gave it 16 as per system/hardware recommendations. MAC address spoofing must be enabled. Lastly, Virtualization Extensions need to enabled/set to TRUE. With the following PowerShell code, we can get the value, and then change the value from. By default this value is disabled. Re-run the first command to confirm the change. Now we are ready to move forward with the Azure Stack install!